Multiple Awards under the categories of Global Excellence, Industry Leaders, Innovators and Game Changers!! 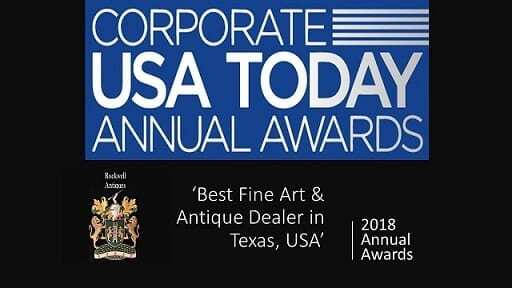 We are very proud to announce that we have been awarded "BEST FINE ART & ANTIQUE DEALER in SOUTHWEST USA' by the very prestigious and international, LUX Magazine for the second year running ... 2017 & 2018. We are a Member of the Antique & Collectibles National Association. A Little Bit About Us! Nevan and Mary will welcome you to our Site and Showrooms with Open Arms. We consider ourselves to be very friendly, affable and approachable people. We love to chat and we have a PASSION for what we sell. We are a Family operated Business. Nevan is originally from Ireland and a graduate of University College Dublin majoring in Law. He worked as a successful Lawyer for 30 years, running his own Firm. Over those 30 years he indulged in his passion for collecting, sourcing and locating, fine and rare Art & Antiques from around the Globe. Nevan has developed, through a combination of study, research and experience, an expertise in Fine Art & Antiques and specifically he has vast expertise in the areas of British & Irish 18th Century pieces and Anglo-Indian antiques from the 18th and 19th Centuries. In 1999, he met the love of his life, Mary, a Dallas native and in 2015 they decided to relocate to the DFW area bringing their knowledge, experience and collection with them. Nevan has extensive contacts in the antique industry both here in the US, and also in Europe. Mary is a Dallas native. She grew up in Lake Highlands graduating from Lake Highlands H.S. Mary is a graduate of University of Texas at Austin, with a major in Art History. Mary also holds a Masters in Journalism from the University of North Texas. Mary moved to Ireland and Europe in 2000 and spent 15 years in Ireland and Europe learning European antiques and collectibles. She, along with her husband, Nevan, continues to use her love and knowledge of art and antiques to assemble and add to this beautiful collection. Mary’s area of expertise in mainly in the area of fine art and jewellery. Mary has a keen eye and sense of discernment when it comes to antiques. Nevan and Mary have 2 daughters and are both committed family people. Many Customers have asked where we developed the name for our business? No, it is not named after Norman or Sam Rockwell, nor is it a misspelling of Rockwall. It is named after the Boarding School (High School) in Ireland that Nevan attended for 6 of the best years of his life, ROCKWELL COLLEGE in Cashel, Co. Tipperary, Ireland. Nevan is a proud Alumni and decided to name his business after the school that shaped him into becoming an adult and the person that he is today ! 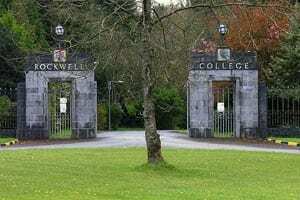 Rockwell College, founded in 1864, is an independent day and boarding Catholic secondary school near Cashel, County Tipperary in Ireland. 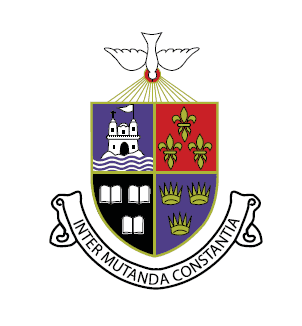 The school has a rugby tradition and has won the Munster Schools Senior Cup 26 times and the Munster Schools Junior Cup 19 times. Rockwell is run by the Spiritans (Holy Ghost Fathers). 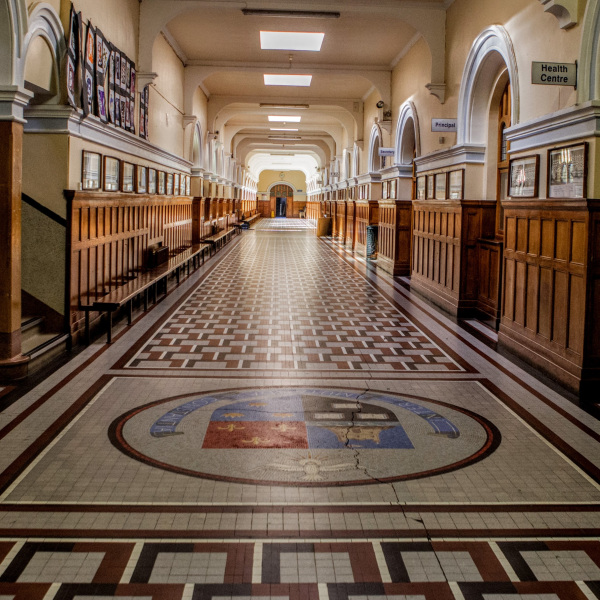 It's list of former pupils and teachers includes two Presidents of Ireland, namely, Eamon De Valera and Patrick Hillery. In fact, Eamon De Valera won a Munster Schools Rugby Cup Winners Medal with Rockwell in around 1905. Another famous alumni is Thomas MacDonagh, poet, teacher and co-leader of 1916 Rising, for which he was executed. 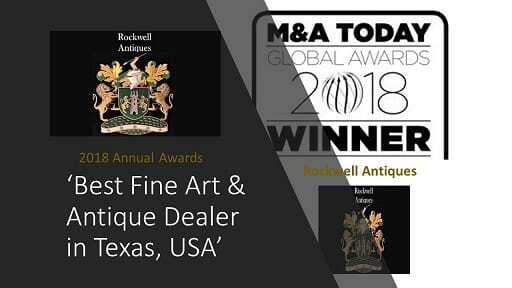 At Rockwell Antiques LLC we have assembled a unique, rare and important Inventory of Fine Art, Furniture, Jewelry, Objects D’Art, Crystal, Chandeliers, Silver, Rugs, Rare Books, Fine Architectural pieces, Americana, Asian and French and Continental Antiques from around the World. We have assembled a fantastic Family Team to lead us in this mission and we are constantly monitoring the marketplace for rare and important finds. We constantly upgrade our Inventory to keep you appraised of our latest arrivals, so keep checking in with us in order that you do not miss out on the opportunity to own that unique treasure. We maintain close ties to various Auction Houses of repute in Europe and the USA and strive to deliver you the BEST the market has to offer. 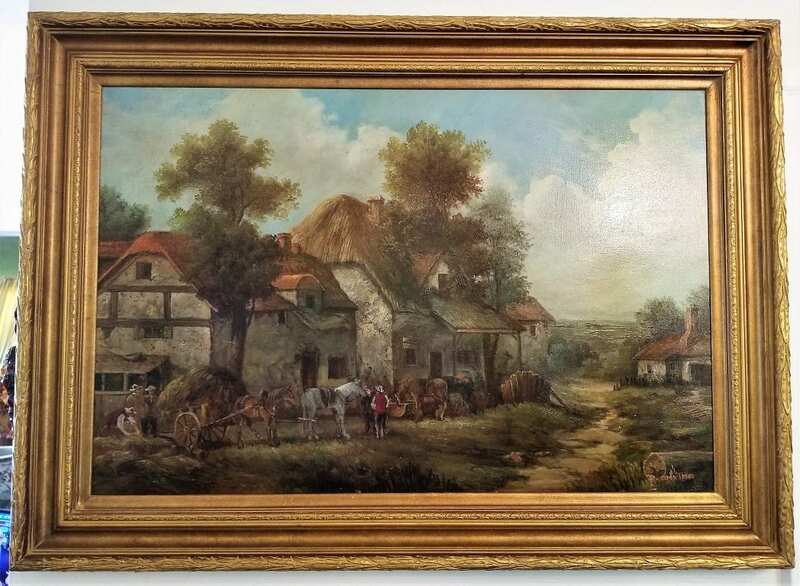 We particularly specialize in finding rare and historic pieces and rebuilding the Provenance of the piece. 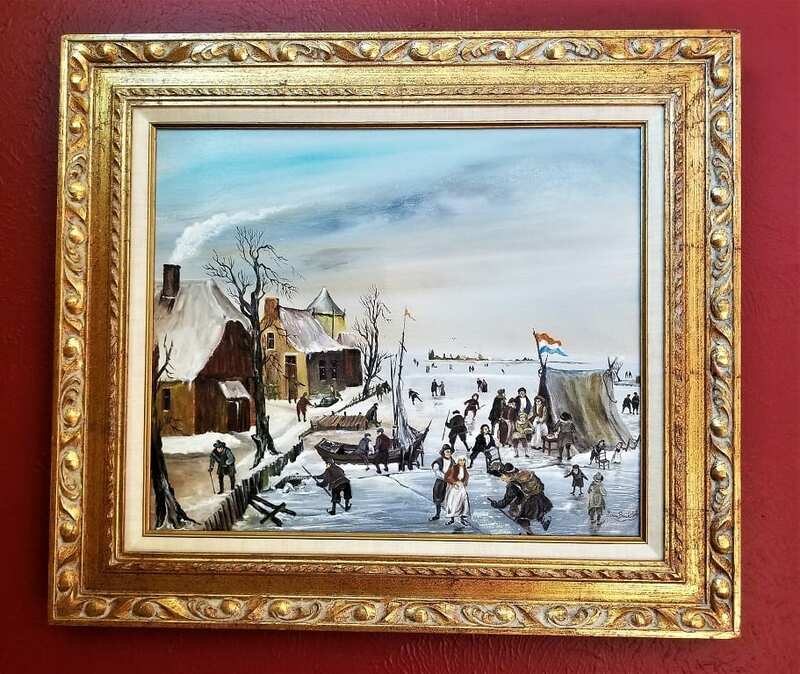 We feel it is important to not simply sell fine antique furniture, collectibles, art and books BUT to sell pieces with GENUINE Provenance, with a history...with a STORY!! By thoroughly researching ALL our pieces and posting that history and provenance on our website posts, we are preserving that history and story for not only the current generation to appreciate, but also future generations. This is what makes us UNIQUE and unlike our competitors. We offer a consignment service to our clients. (i) We will travel to your home or place of business (if necessary) at your request and carry out an initial viewing of the suggested consignment items. (ii) We will not guarantee that we will take EVERY item for sale by consignment. We are a High-end retailer and are only really interested in selling items of high quality, rarity and collectability. We will not waste your time if the items are not suitable. (iii) We will take photos of the suitable items and fully research them on your behalf before furnishing you with our appraisal. (iv) We will discuss strategies for the sale and marketing of the items with you. (v) We will agree our commissions with you and enter into a Contract with you for the sale of the item on your behalf. Until an agreed sale, the items will remain your property. (vi) We will keep you advised on progress with the marketing and sale of your items as soon as we receive relevant information, relevant to your items. (vii) It will be a matter for the Consignor (You) to arrange safe delivery of your items to our Showrooms and Warehouse and thereafter for sale by us in our showrooms and warehouse. (vii) We will inform you of any offers made on your items and will confirm, in writing, that a sale has been agreed and the agreed sale price. We will furnish you with a copy of our Invoice to the purchaser of your items and will discharge the NET balance sale proceeds to you, less our agreed commission, within 21 days of receipt by us of cleared funds. We offer our clients an Appraisal Service. Appraisals for consignment purposes are free. Appraisals for all other purposes are subject to a fee, which is dependent upon time taken, travel expenses etc. If you have item(s) that you would like us to carry out an Appraisal on, then simply contact us requesting same. Give us a brief description of the number and type of items you wish an Appraisal on. Give us your location and contact details and we will revert to make an appointment to discuss terms etc. For appraisal purposes we will inspect the item(s) in your home or business. We will take photos and we will carry out a comprehensive research of your item(s) before reverting quickly with our Invoice and Appraisal Report. NOTE: If you have any provenance or history (family history or otherwise) relating to the item(s) then please have these written down for us to assist with the Appraisal, as provenance can have a DRAMATIC effect on the value of items. At Rockwell Antiques LLC we are determined to provide you with the BEST that the market has to offer. We do not believe in the 'hard-sell' . We believe that, "if you love it, you will buy it". We aim to deliver fair and competitive pricing and most importantly, honesty and integrity in relation to our items. We are targeted mainly towards the High-End of the market and thus we offer exclusivity and rarity. We are not attempting to be an online retailer. Whilst, we truly value and welcome such custom and interest, we really do believe that personal contact is best, if at all possible. We aim to meet our clients personally, preferably by appointment, so as to avoid disappointment if you travel to our Gallery but we are not there. Our Mission is to stimulate your curiosity and passion in all things of a HIGH QUALITY and of a HISTORIC nature. 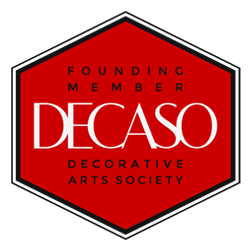 We want to open your mind to the beauty and timeless relevance that is to be found in our Artwork, Furniture and historical treasures. In this age of flat-pack furniture, minimalism and blank clean lines, it is VITAL that you keep your mind open to the possibilities that rare HIGH QUALITY and ELEGANT antiques and artwork can deliver, when used in tandem with your vision of modern living. 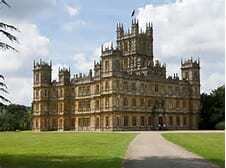 It is one of the great misconceptions that antiques do not 'fit' with modern design. This is complete 'rubbish'. Great antiques only make modern design MORE INTERESTING, especially, when used sympathetically with modern designs. Many Interior Designers are beginning to realize and embrace this philosophy and it is ABOUT TIME!!! Our Mission is to KEEP the love of Antiques CURRENT and not to simply accept that current trends have no place for antiques or brown furniture. We consider ourselves FIRST RESPONDER'S for treasures that could potentially be lost to history. We thrive on rescuing RARE and HISTORIC pieces and thoroughly researching and cataloging their PROVENANCE and STORY. We are only "temporary custodians of our pieces in the passage of time", but if we can save and preserve their STORY for future generations to learn from and admire, then we make it our MISSION to do so and we TAKE PRIDE in doing so! CONSIDER: What is more important? Owning a piece of important history with the full history preserved and committed to writing and saved FOREVER on the internet OR a piece that may look great but has no STORY, no SOUL?? Which piece do you think will catch your visitors’ attention ?? Which piece do you think that future generations will want to discuss ??? Which piece will hold its value and probably increase in value when current tastes change ?? ALWAYS remember: Tastes and trends change and come and go, but QUALITY, HISTORY AND RARITY ALWAYS survives and thrives !!! Just as in real estate the most important words are "location, location, location', the mantra in antiques is "Provenance, Provenance, Provenance"!! PLEASE CONTACT US BY EMAIL OR PHONE TO ARRANGE AN APPOINTMENT TO VIEW ! !